Stars are the most popular Christmas motifs – they immediately create a cosy atmosphere and should take pride of place in your home. Embroidered on a wide linen band, the stars on this table runner have a contemplative and relaxing effect. 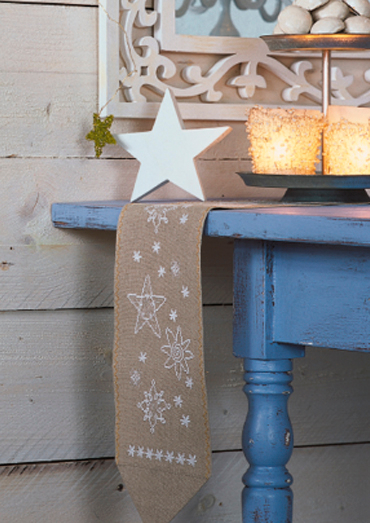 This table runner is a real winter classics that you can use time and time again.